In an unprecedented move, Apple's CEO Tim Cook published a letter on the company's website, admitting that Apple's new maps service isn't up to par with the competition. In the letter, Tim Cook goes on to say that the Apple Maps app has reached more than 100 million iOS devices and in just over a week users have accounted for nearly half a billion searches. The latter is essential as it helps Apple improve its service. But here's the shocking part, Tim Cook actually admitted that the app wasn't up to scratch and apologized for the frustration that it caused Apple customers. He even went on to suggest "alternatives". 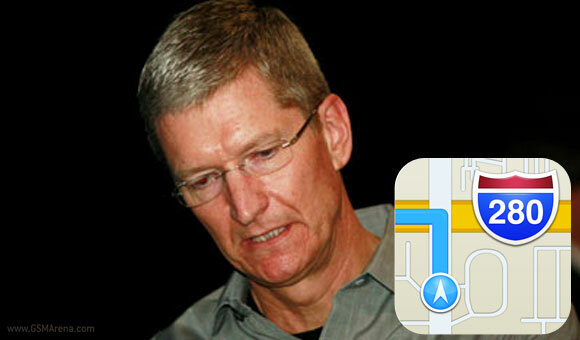 The company seems to be hard at work on revising the bugs and problems of its Maps service, but until then, iOS users have the official permission of Tim Cook go elsewhere if they feel unsatisfied with what Apple has done with Maps. Follow the source link to read the whole letter of apology.